As lighting designers we take inspiration from great buildings and spaces, and from the architects who created them; particularly those who embraced light and advocated its significance in their buildings. Here’s a glimpse at some of the key architects who have strongly influenced the team at LAPD. 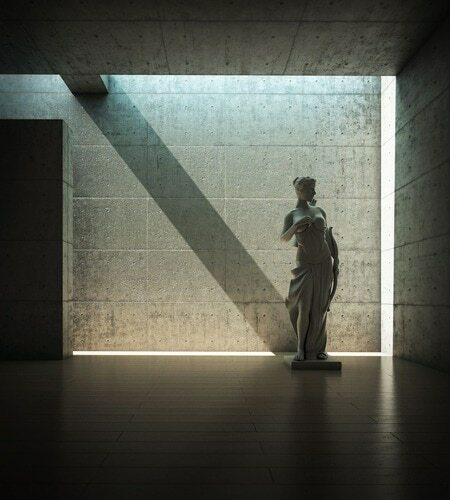 Tadao Ando uses natural light to continually remind us of the world outside; the passing of time, the path of the Sun that changes continually throughout the day and the year, and the changing weather conditions. He considers natural light to be fundamental within a building to our sense of place in the world. The penetration of light through slots and considered apertures into a building’s interior with varied angle, intensity and colour brings a heightened awareness to us of the time of day and the seasons. Ando is very aware that this is key to the mental and physical health of human beings. In fact Ando has a frustration with spaces flooded with light and in particular, artificial lighting schemes that produce uniformly lit interiors meaning we are no longer conscious of our relationship with nature. Unfortunately, many of us spend a huge percentage of our lives in uniformly lit offices that create a stagnant lit environment. These spaces cut us off from the outside world and do not “Let Nature Speak”. Utzon said this about the Bagsvaerd Church in Denmark, one of his most beautiful works. This building was inspired by a cloudy sky and really has become a living thing. Daylight is the prime source of illumination and as a result it constantly changes the interior throughout the day and the year in terms of illuminance levels, colour temperature and visual interest as the sun moves and as clouds form and disperse. 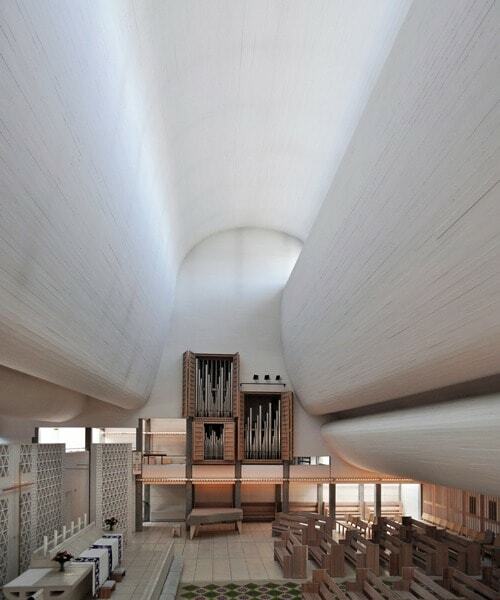 When daylight is allowed in indirectly as in Utzon’s chapel, the harshness of the sun is removed but the prominence of daylight washing across the curved surfaces of the ceiling is high. An ever-changing cloudy sky is created. 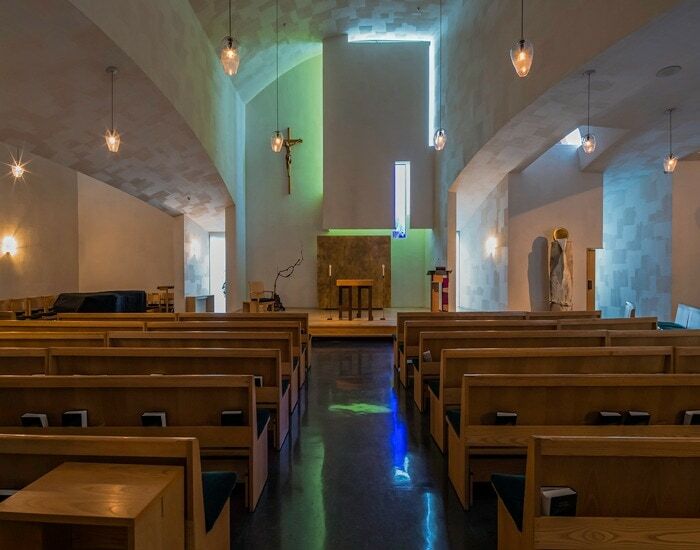 In Holl’s Chapel of St Ignatius in Seattle there has been considerable consideration of how different qualities of light enter the building in different ways. They are brought together to create a symphony of light. Holl achieves this using the orientation of the building’s openings to the outside: direct and diffused openings along with numerous types of glass used in different areas of the chapel. There are 7 openings in the ceiling, all capturing light from different portions of the sky to capture the differential in colour temperature and brightness that each section of sky offers. Side-lighting is controlled by allowing direct light through clear glass openings or by layering architectural surfaces over the apertures to create a diffused glow. This glow is sometimes modified by colouring the hidden surfaces. Various types of glass further modify the light by using clear, coloured and specially cast glass. The building uses natural light to become both accent and ambient light throughout the chapel, creating a carefully composed finished space. 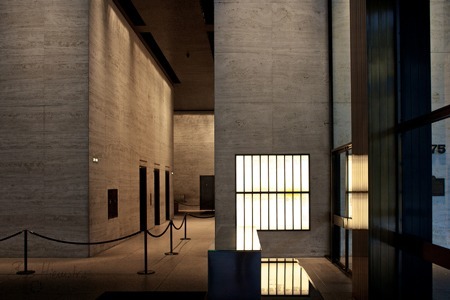 Mies Van Der Rohe was an extremely important figure for the lighting design profession. He recognized that light had to work with architecture from the start and ideally integrate with it. As a result he became the first, or certainly one of the first architects to work alongside an independent architectural lighting design consultant, Richard Kelly. This was at the very beginning of the lighting design profession as we know it today. 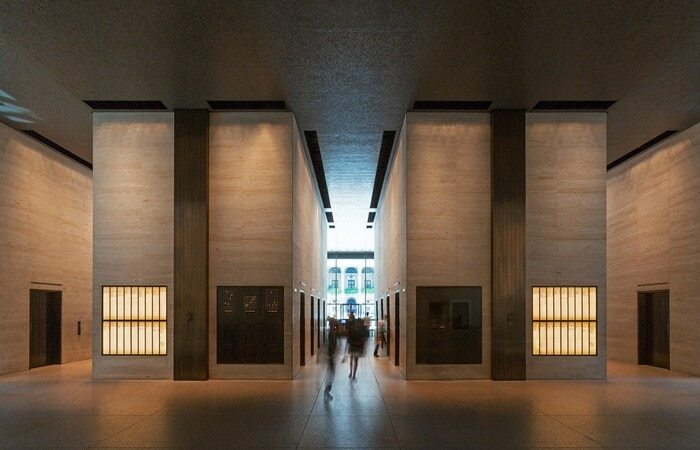 They collaborated on buildings such as the Seagram building in New York (1958), alongside Philip Johnson working on the interiors. Many of the artificial lighting techniques used in his buildings in the 1950’s are still used today: the grouping of lights within channels to create clean ceilings and hide the light source, luminous backlit surfaces, cove lighting and illumination of perimeters to increase the perceived brightness of a space. 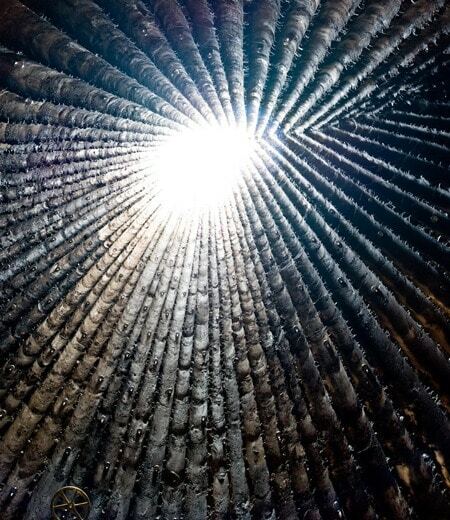 According to Peter Zumthor light, materials and atmosphere are the most important aspects of architecture, not form. The form is open. Zumthor investigates the sensory qualities of architecture predominantly through materials, sound and light and considers form later in the design process. Light will more often than not align with the architectural space or place and work in harmony with it. However, as Zumthor suggests, it can become a separate entity and can be used effectively to create strong emotions within a space by working alone and not with the architectural form of the building. One of the many exercises Zumthor gives to his students is to design a house without form. The end goal of this is to produce presence in architecture. Le Corbusier was a pioneer of modernist architecture and had a huge fascination with light, as the quote suggests. He declared it not only a fundamental basis of architecture but the key to personal well-being too, he created emotional spaces that interacted with sunlight and season and the building’s occupants. In so many of Corbusier’s works natural light enters into the building in a controlled manner to achieve this and connect us with the world. 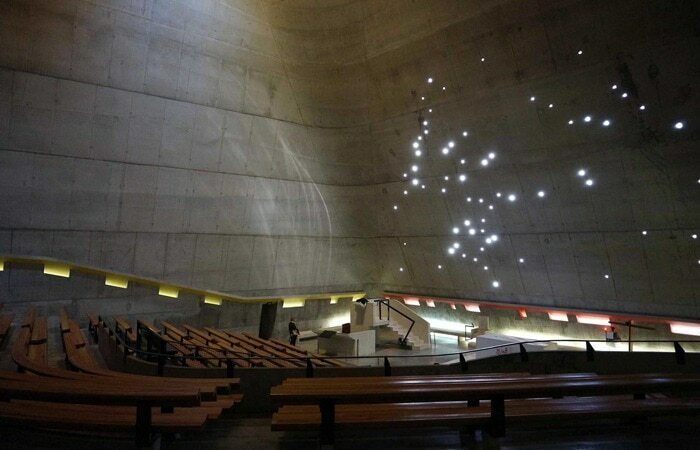 A fine example is Corbusier’s last work, completed decades after his death; the church of St Pierre in Firminy. The building is ever-changing with accidental waves of light projected across the walls from refracted sunlight that appear at certain times of the day and year. There is a series of light boxes and organized openings to the outside that are designed around how light enters the space. There are much smaller, circular openings that emulate star constellations twinkling and shimmering as the angle of sunlight changes and as the natural light becomes diffused or direct. Light is focused on the alter on specific religious holidays, like Good Friday and Easter. 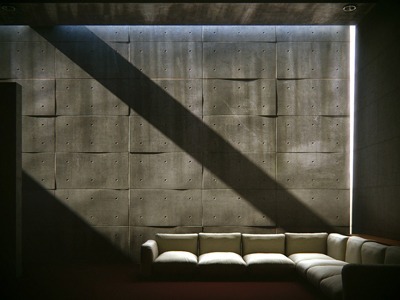 Corbusier uses natural light to create accent lighting, something we strive to emulate with artificial light.